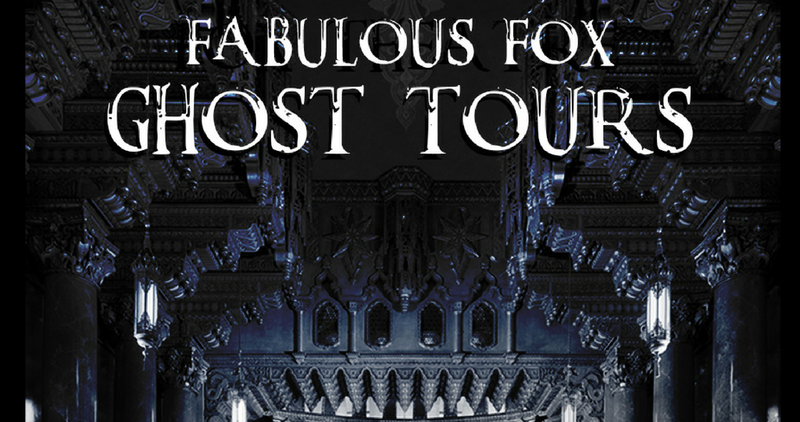 The Fabulous Fox Theatre is excited to announce the return of the extremely popular Ghost Tours this October. The Fabulous Fox Ghost Tours will explore the untold history of the many ghost sightings and unexplained occurrences reported at the Fabulous Fox during its 86-year history. The Fabulous Fox Ghost Tours will offer an evening of spine-chilling tales from Fox staff members and first-hand accounts from investigations by paranormal researchers. Go behind the scenes of the Fabulous Fox to see what happens after the shows have closed and the stage lights go dim.